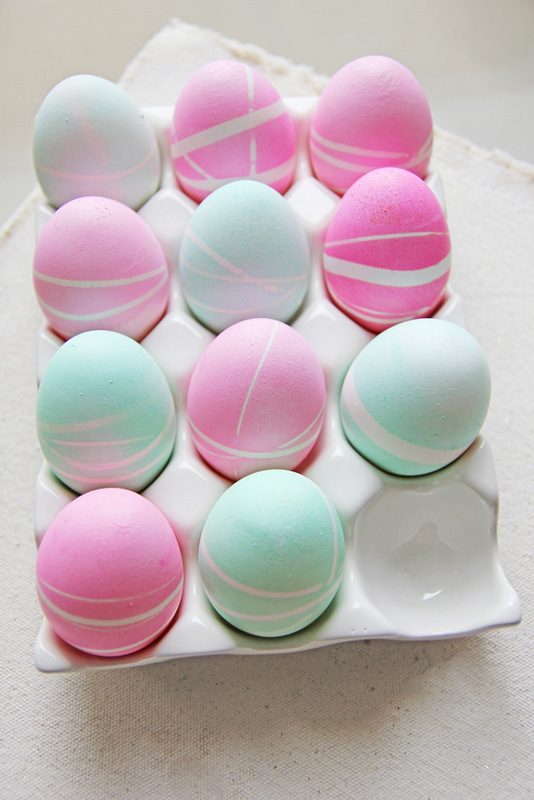 Looking for creative ways to decorate Easter eggs this season? 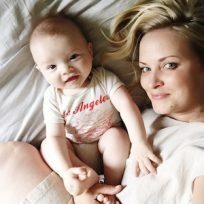 I've rounded up 30 for you—some simple, some elaborate, most kid friendly, and all fantastic! These look complicated, but with some tattoo paper and the free template, they're actually very simple! From Oh Happy Day. 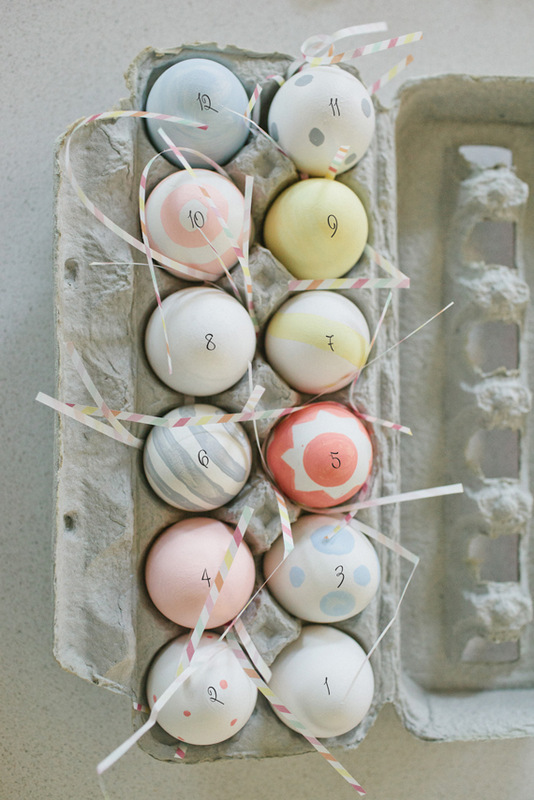 Turn decorating eggs into a fun countdown to Easter with this Easter advent egg DIY from A Subtle Revelry. 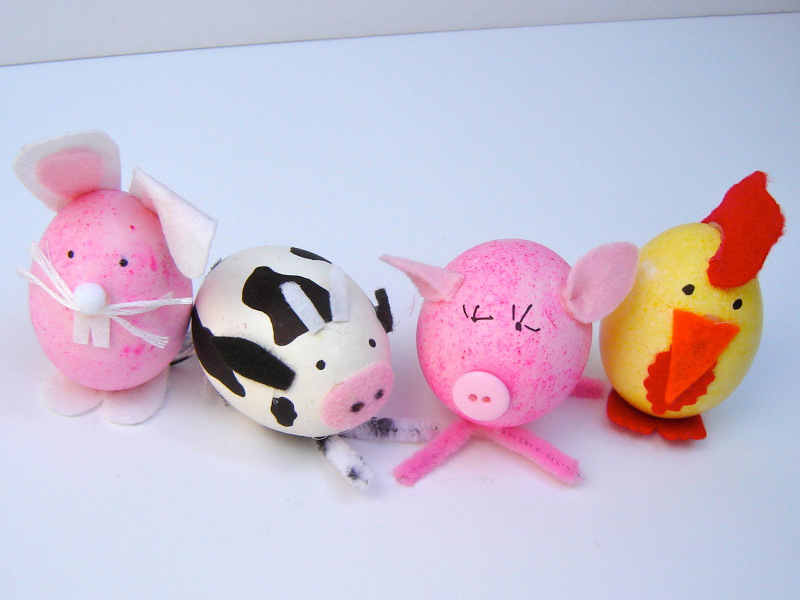 Take coloring eggs a step further by turning them into farm animals—such a fun craft project to do with kiddos. From The Mud Puddle. 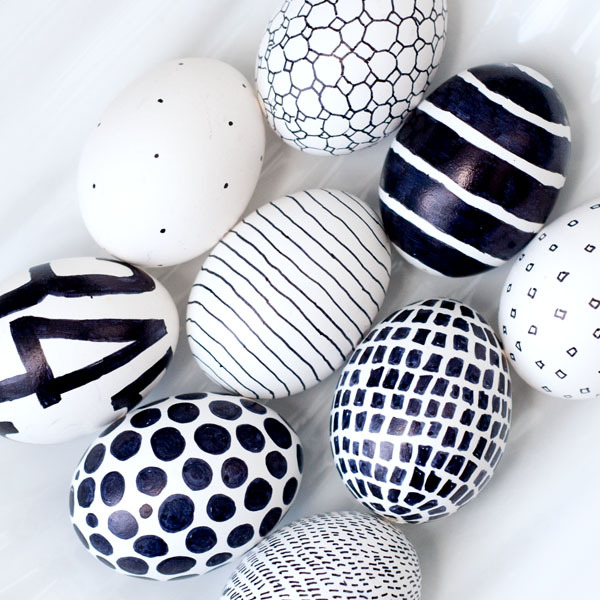 All you need is a black Sharpie and a creative hand to create these graphic black and white eggs from Obviously Sweet. 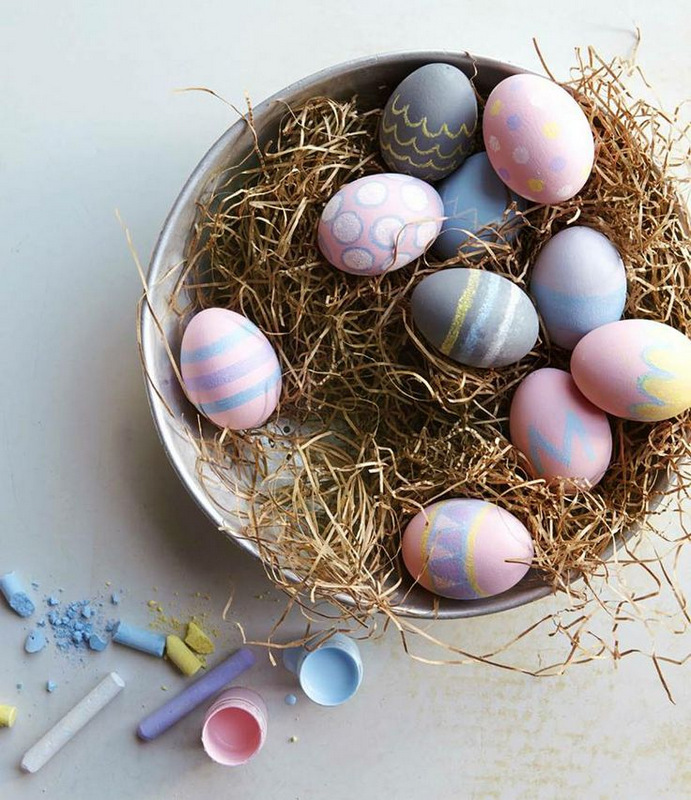 This chalk decorating kit from Williams-Sonoma makes egg decorating easy and fun. 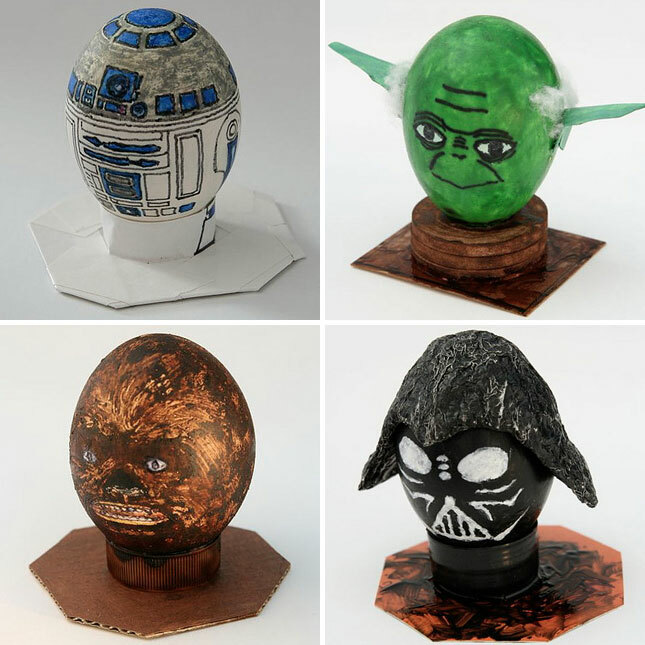 The men in my family would love these Star Wars eggs, found on smilemermaid. 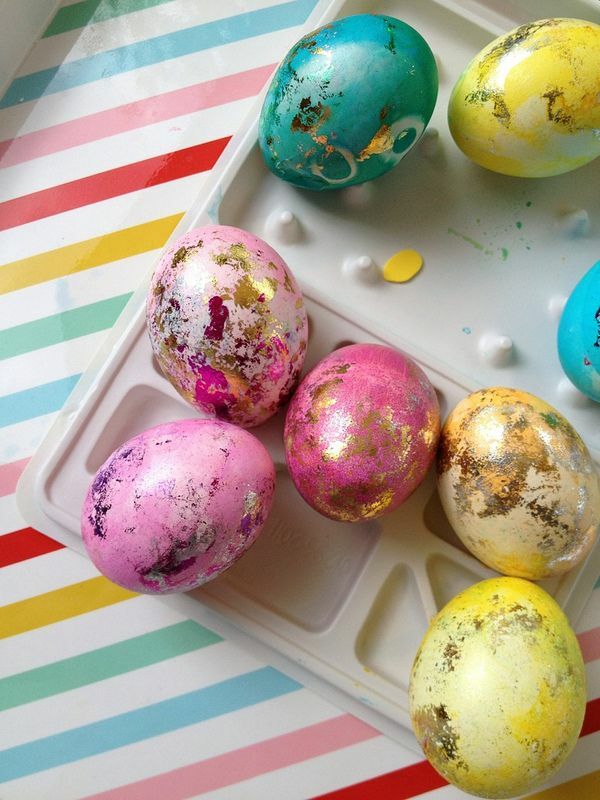 These foil eggs would be so easy to do with little kids. Plus, no mess! 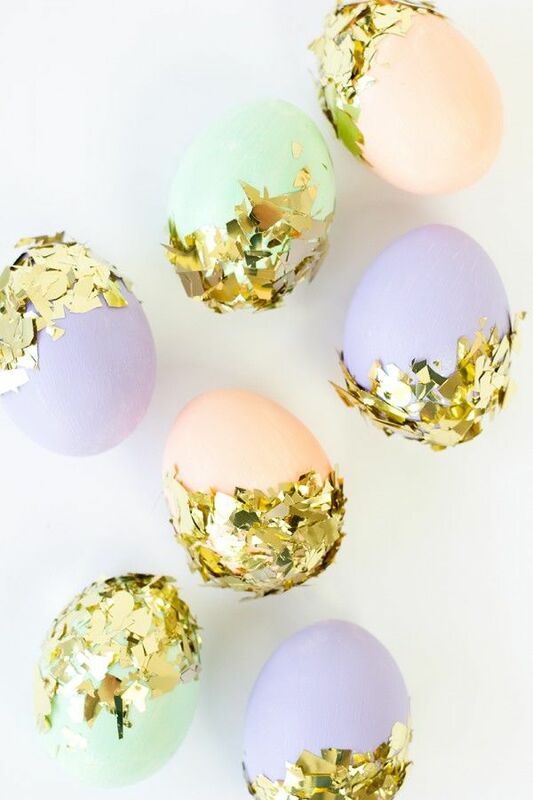 Love the look and ease of these confetti-covered Easter eggs from She Makes a Home. 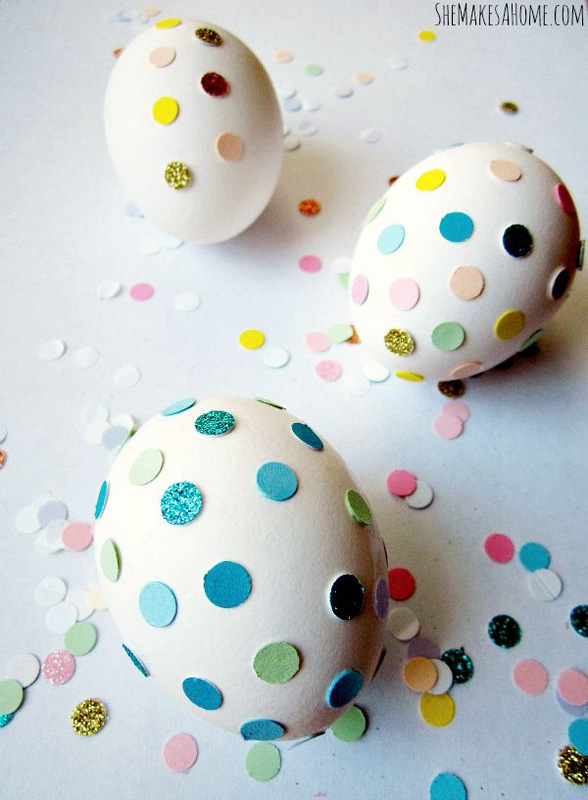 Cover your eggs with washi tape in different colors and patterns, like these from Oh Lovely Day. 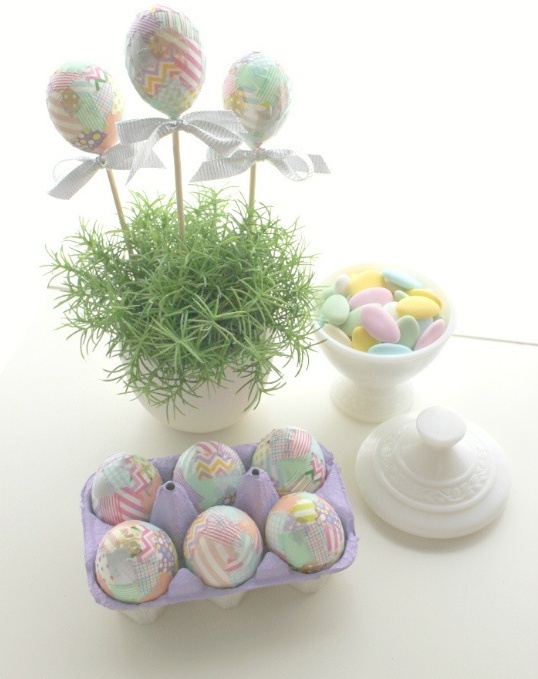 And there's a bonus DIY Easter centerpiece too! 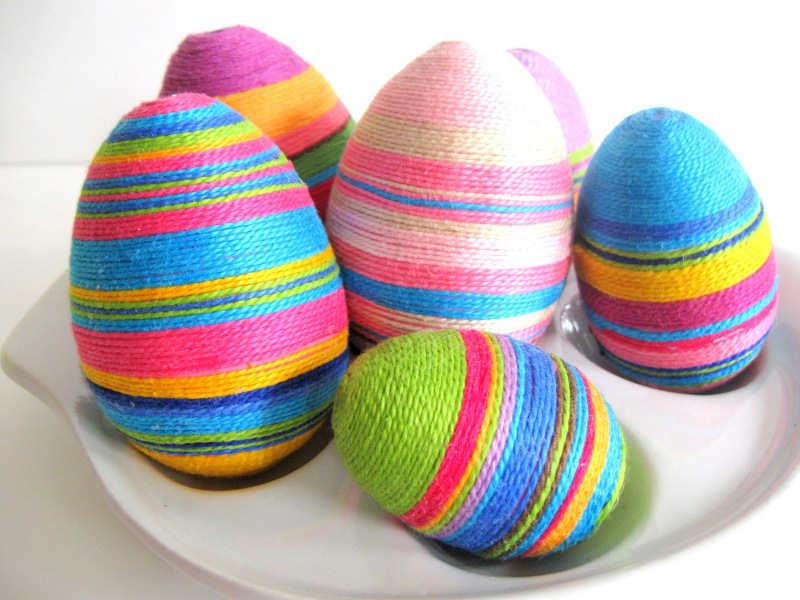 These yarn-wrapped eggs from Craftberry Bush are so pretty and such works of art. 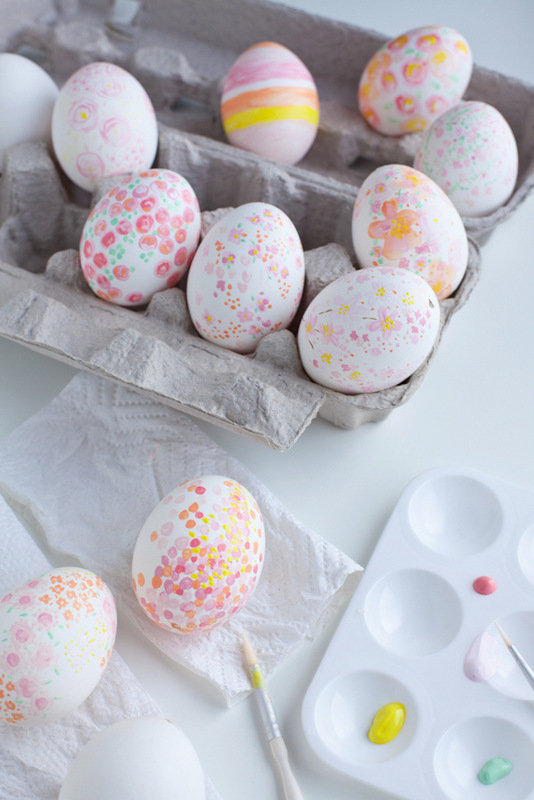 Might not be the easiest for the kiddos, but mom will have fun trying to make them! 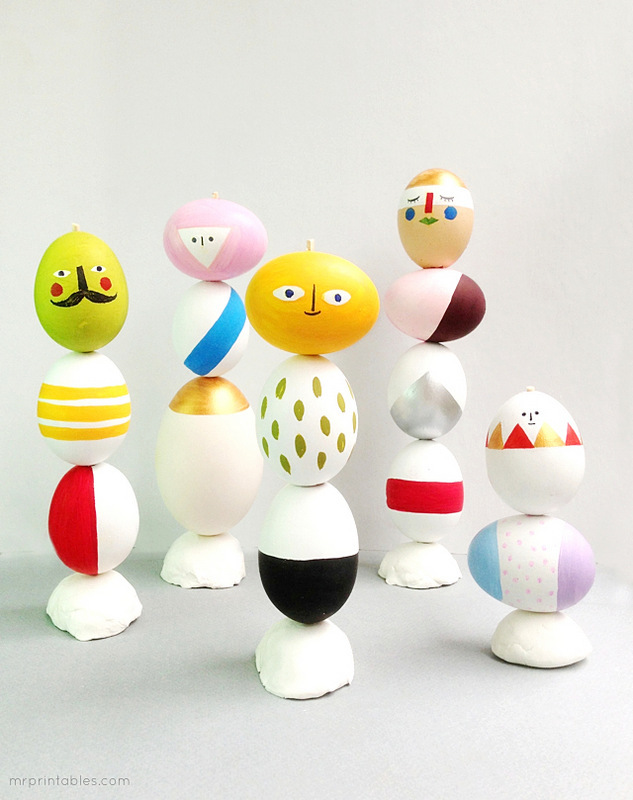 These egg head totums are so completely cool, I had to share them. From Mr. Printables. I mean, they are covered in glitter. Enough said. From Rachel Ray. 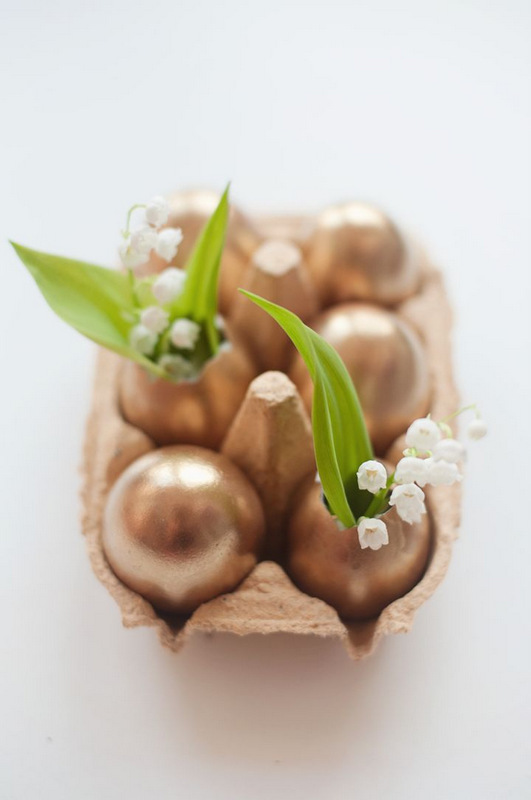 These gilded eggs are one part pretty, one part Charlie and the Chocolate Factory. And probably my favorite. Via Seventy Nine Ideas. 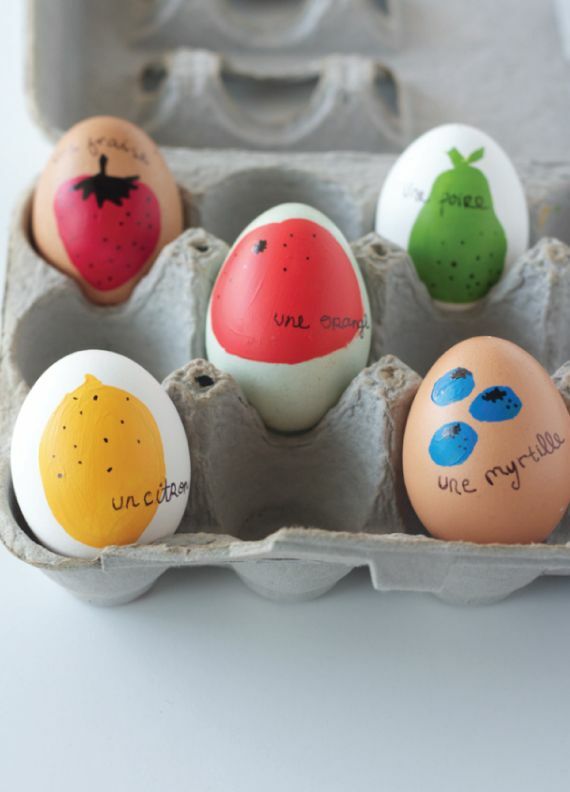 These DIY fruity French Easter eggs from The Alison Show are too cute for words, French or otherwise. 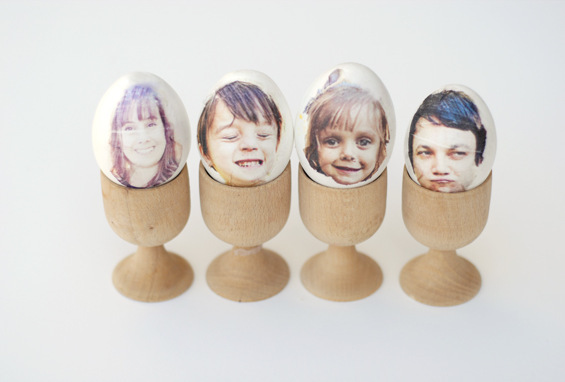 I just love these family photo eggs from A Subtle Revelry. They could be so much fun to make with your own family. 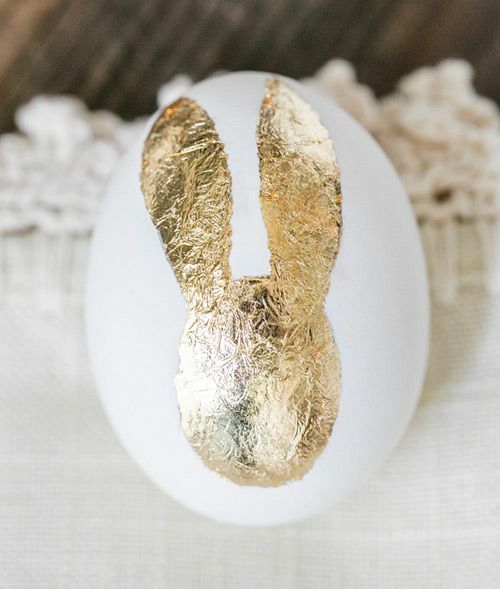 What says "Easter" more than a gold foil bunny egg? From Sugar and Charm. 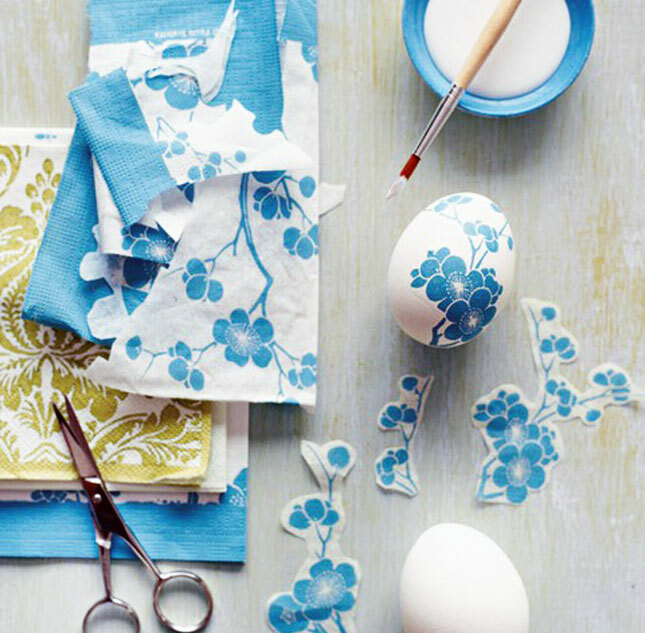 These handpainted eggs just say "happy spring!" From A Creative Mint. 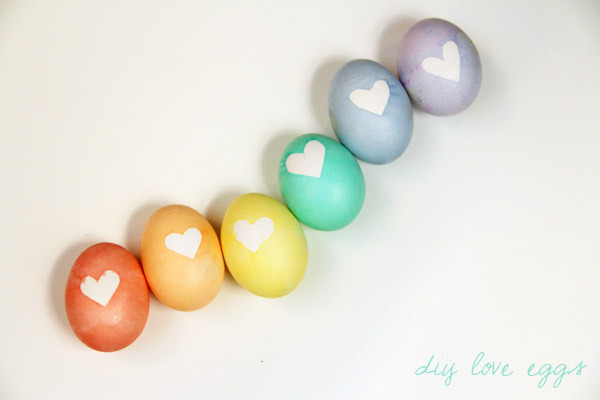 Show your love with these colorful heart eggs—they're really easy too! Via The Sweetest Occasion. 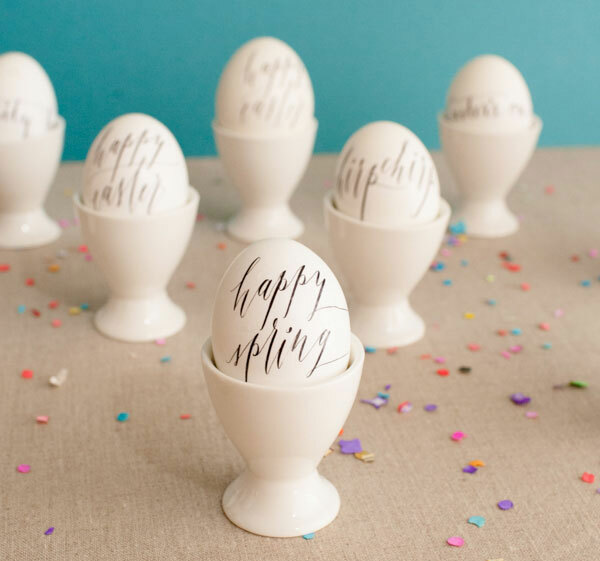 I have a major blogger crush on everything Studio DIY does, and these confetti dipped eggs are no exception. You get such vibrant colors when dying with Rit Dye, as shown by Urban Comfort. 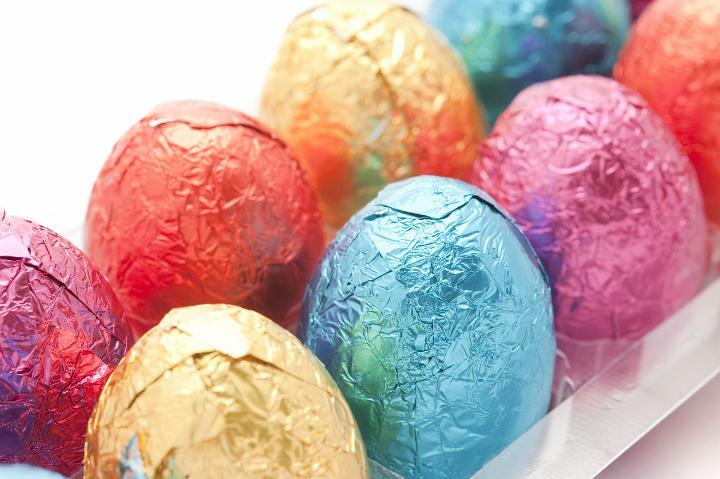 Make cool patterns by wrapping your eggs with rubber bands before dying them, like these from Chocolate Shavings. 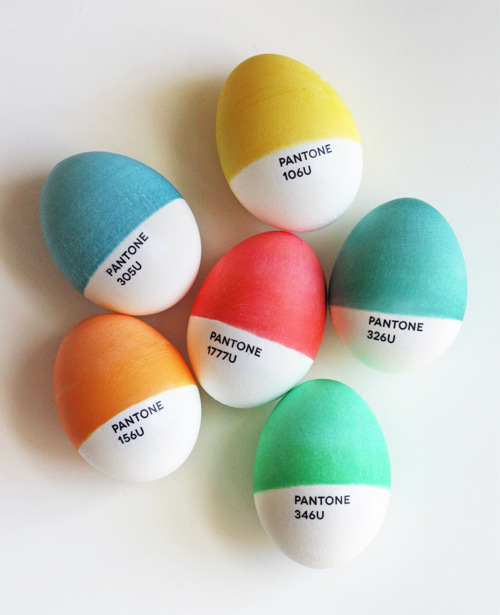 For the design lovers, these Pantone eggs from How About Orange are too good. 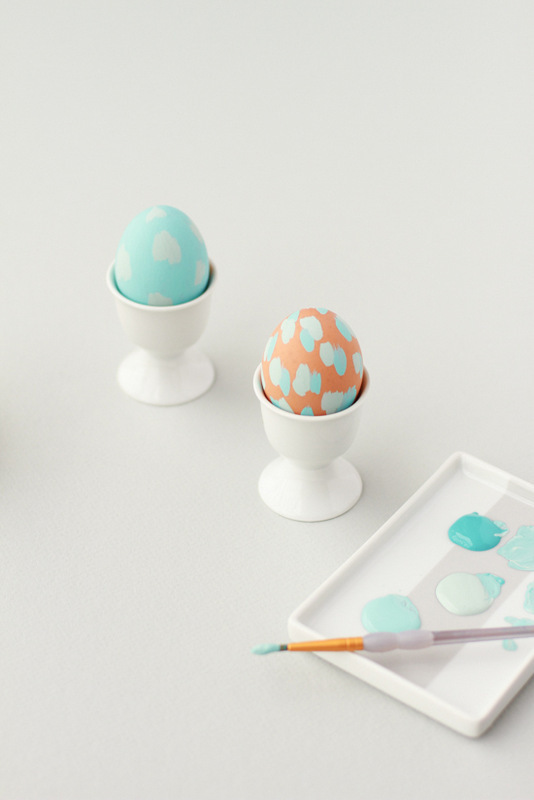 Love the simplicity and color palette of these handpainted pastel eggs from Paper & Stitch. 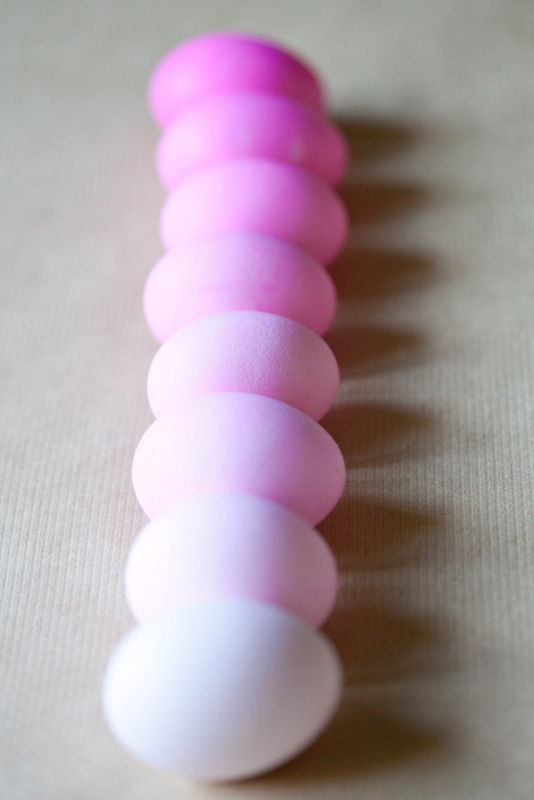 Varying shades of the same color make up this pretty ombré egg DIY from Sugar and Charm. 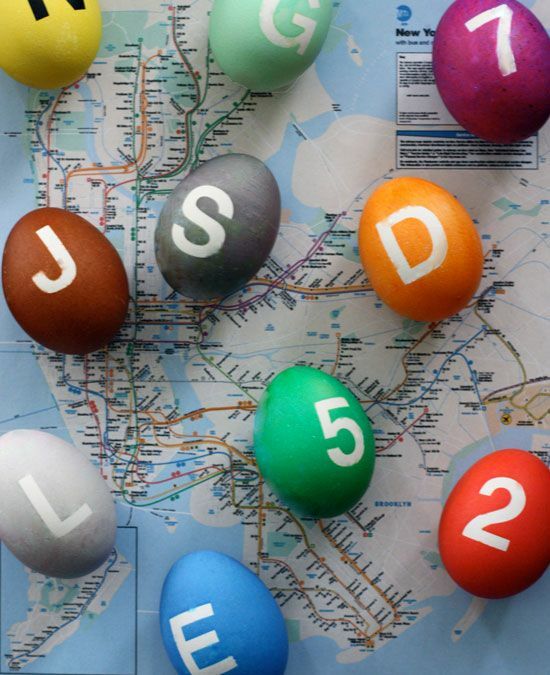 These NYC subway eggs from The SoHo are pretty incredible. 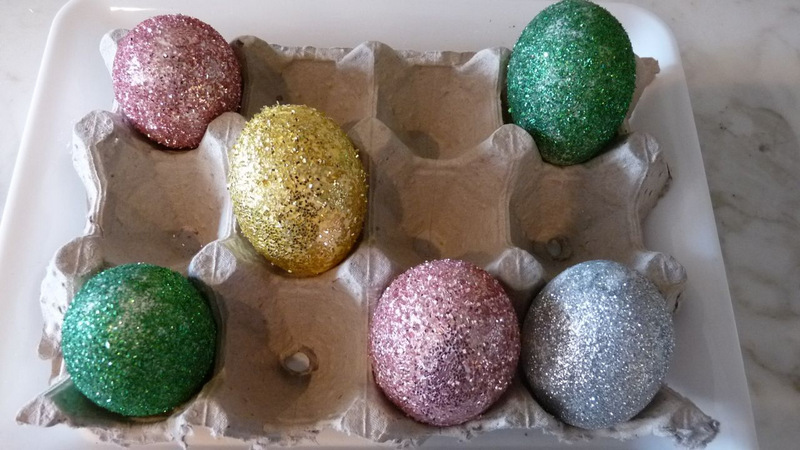 Another favorite are these colorful gold leaf marbled eggs from Pencil Shavings Studio. 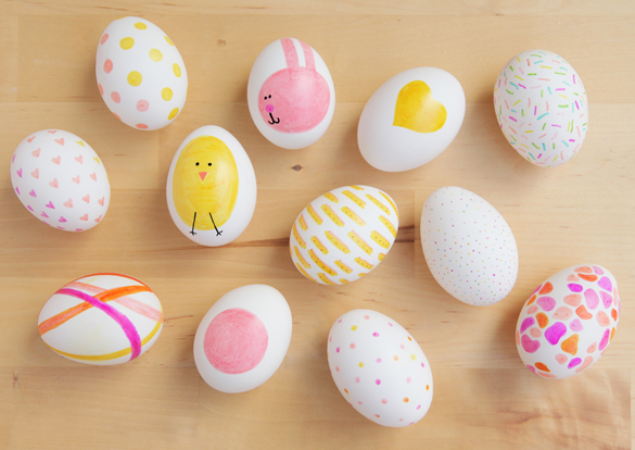 Don't have dye, markers, paint, or any other medium to decorate eggs on hand? 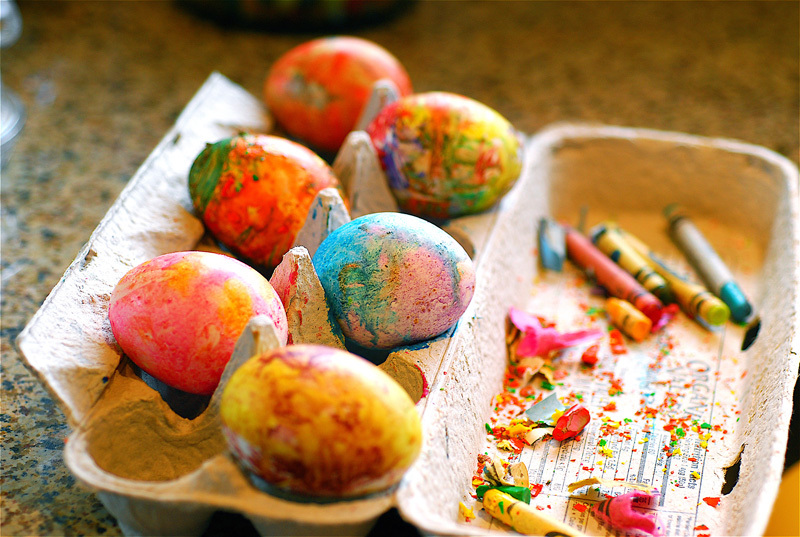 I bet you have crayons—so you can make these melted crayon eggs from Full Circle. 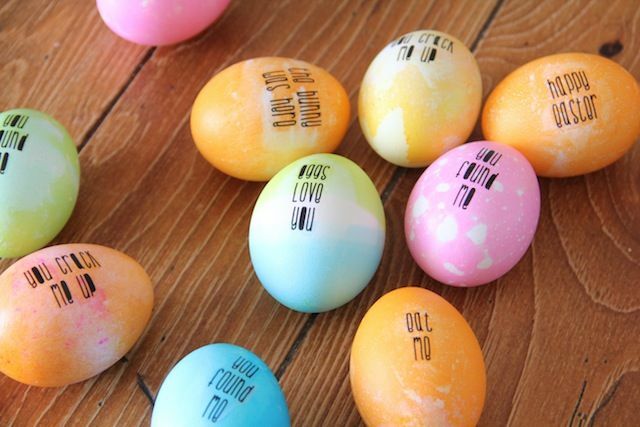 And finally, why not add messages to your Easter eggs. Bonus points for the best puns. From And We Play. 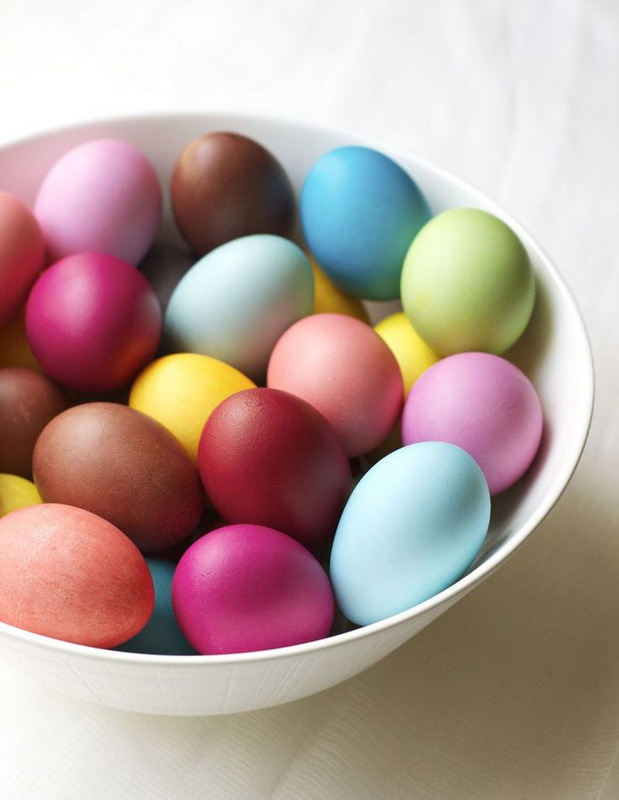 How do you plan to decorate Easter eggs with your family?